Amazing Stone | Bay Area kitchen & bathroom specialist - Amazing Stone, Inc. Besides the countertop, a complete remodeling project requires many other materials, which is why we have an extensive showroom that offers a little bit of everything to make your project easier. Need help installing? Check out our sister company Amazing Construction & Design, Inc.
We partner with several cabinet sources to provide the right material and design for your needs and taste. Custom-made, Pre-made, Frame, Frameless, we have it all. 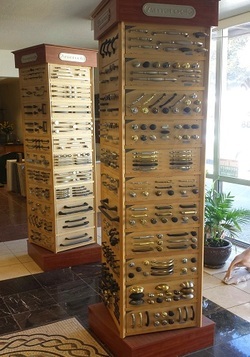 Our hardware towers offer over 500 different hardware styles from Amerock to complete your cabinetry. Sinks and faucets are essential to keep the kitchen or bathroom working hard. 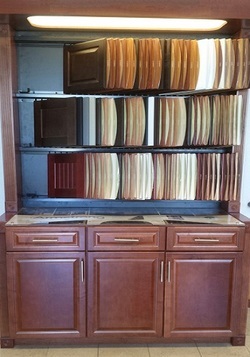 We have over 500 different backsplash choices that can satisfy any type of design. 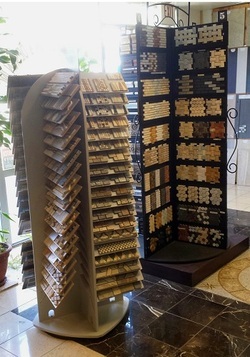 Our flooring center shows over 150 different porcelain tiles that have the look and the practicality.